Tiziana Centofanti carefully hand-waters some pomegranate trees with a tiny bucket. “The important thing is to go really slowly," she says. "The soil is very dry right now." Centofanti is a research scientist affiliated with the Center for Irrigation Technology at Fresno State. She's based at the U.S. Department of Agriculture lab in Parlier, a sprawling campus of experimental farmland about half an hour south of Fresno. One of the questions she's asking is whether fruit from trees that don't get much water are less nutritious, compared to fruit from trees that get plenty of water. 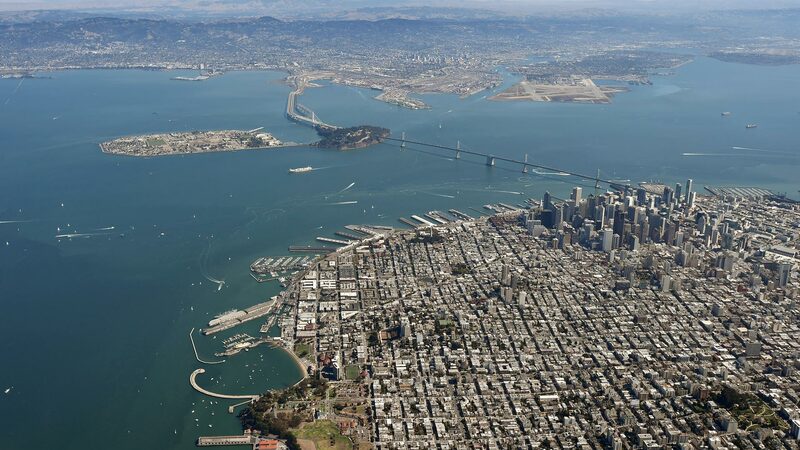 “My research is about physiological response to stresses," Centofanti says, "and drought is one of those." Some of the pomegranate trees in these orchards are pretty stressed out. They’re planted inside a tile ring that constrains their root systems, so they burrow deep into the ground. Centofanti’s watering them with a solution of salt, boron and selenium; these are natural elements in the soil on many Central Valley farms that are also struggling with drought. “You will definitely see that these trees are much, much smaller,” she says. They’re actually dwarfish, and the fruit on them is tiny, too. Centofanti shows me another plot of pomegranates she’s watering with just 35 percent of what a tree would normally drink, and yet another group of trees that are getting half the normal amount of water. These trees are all growing to the usual height, but their fruit is cracked, so you can see the pomegranate seeds peeking out, like tiny rubies. Research shows that pomegranates have specific compounds that may reduce swelling and infection, even possibly fight DNA damage and cardiovascular disease. To see how drought might change that fruit chemistry, Centofanti takes the water-stressed pomegranates into the lab. She cuts them and uses a french press to squeeze everything, including the peel, into juice. She shakes that onto a magnetic stirrer, and analyzes it with liquid chromatography. Preliminary data, she says, confirm her suspicions about drought’s effect on the fruit's nutritional value. “Does not affect the fruit quality, so nothing, no differences at all,” Centofanti says, gesturing toward a deep freezer full of fruit samples. "The tiny pomegranates seem to have double the antioxidant content of pomegranates grown under normal conditions." Preliminary results from this soon-to-be-published study show that the cracked pomegranates grown with much less water still have all the normal antioxidant levels -- the same amount of vitamin C, micronutrients and macronutrients. Same with the drought-stressed grapes Centofanti's tested. 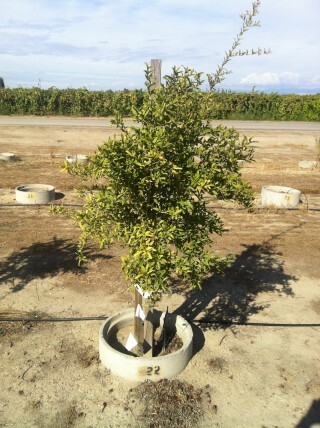 But there is one interesting difference about the tiny pomegranate trees, the ones with constrained roots. 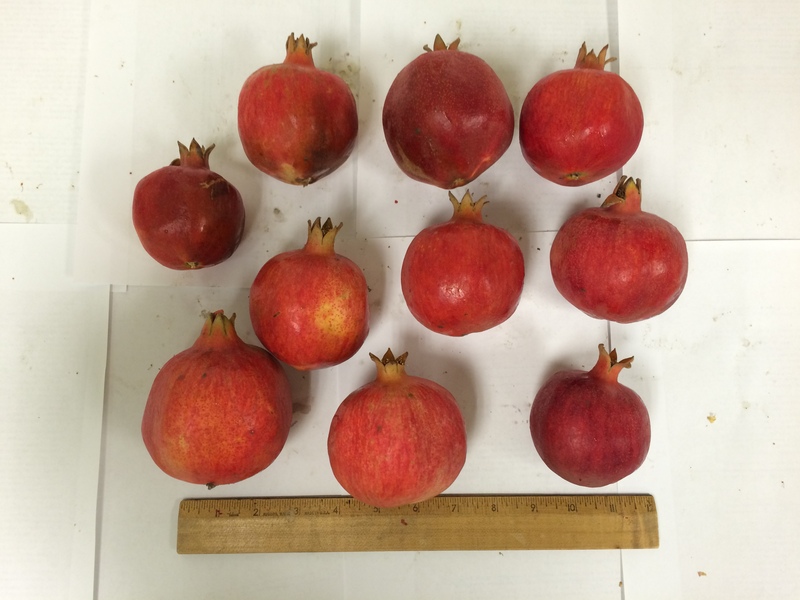 The tiny pomegranates grown with the salt and boron seem to have double the antioxidant content of pomegranates grown under normal conditions. “Plants when they are stressed, they tend to produce higher content of phenolics, antioxidants,” Centofanti says. In other words, the trees under the most stress come out fighting, releasing more protective chemical compounds. Centofanti’s now looking into whether there’s a similar effect on peaches. Those trials are still in the early stages and so far, like pomegranates, the peaches she’s grown with less water are tiny. The big challenge? Convincing consumers that fruit that’s smaller or cracked might be better for you, and for the environment. “I believe that if we’re able to market this fruit as environmentally friendly because it uses it less water, and it’s grown in the Central Valley where we have so much drought problems,” Centofanti says, "consumers will be ready to buy the fruit, because it's environmentally friendly." That may be true at a foodie hub like the Ferry Building farmer’s market in San Francisco, where Dirty Girl Produce hands out free samples of dry-farmed tomatoes to enthusiastic customers. 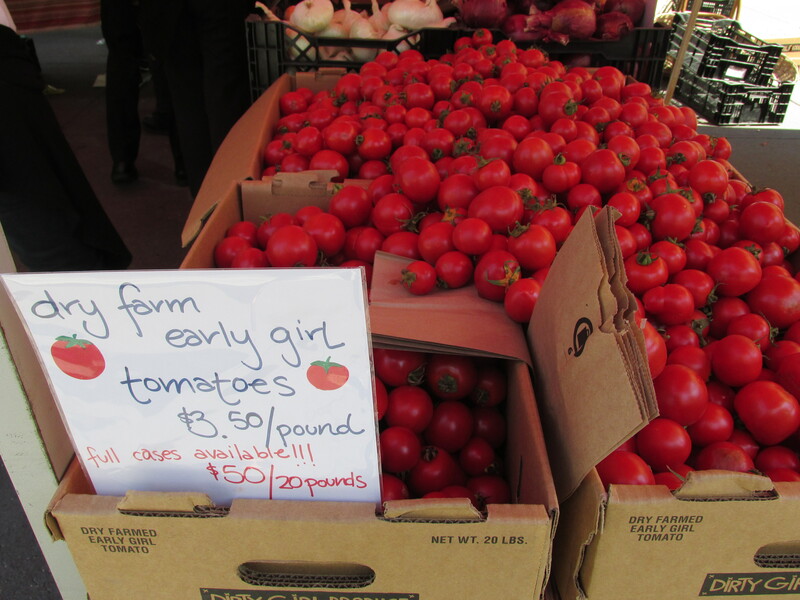 They’re grown in Santa Cruz, without irrigation -- and that's part of their appeal. In fact, dry farming was the norm back in the 19th century for many California farmers. They relied on limited natural rainfall for dry land crops like winter wheat and barely. It wasn’t until massive irrigation projects plumbed water all over the state that the hot, arid Central Valley was transformed into the nation’s most productive farm belt. But do those crops really need all that water? In a sprawling vineyard near Delano, just north of Bakersfield, Andrew Zaninovich shows me a test plot of crimson seedless table grapes that get 50 to 70 percent of the water he'd usually use. Zaninovich runs Sunview Vineyards, which supplies many of the nation's biggest markets with table grapes, and he’s working with the USDA researchers. The drought-stressed vines look surprisingly green to my eyes. I thought they’d be all shriveled up and dried. 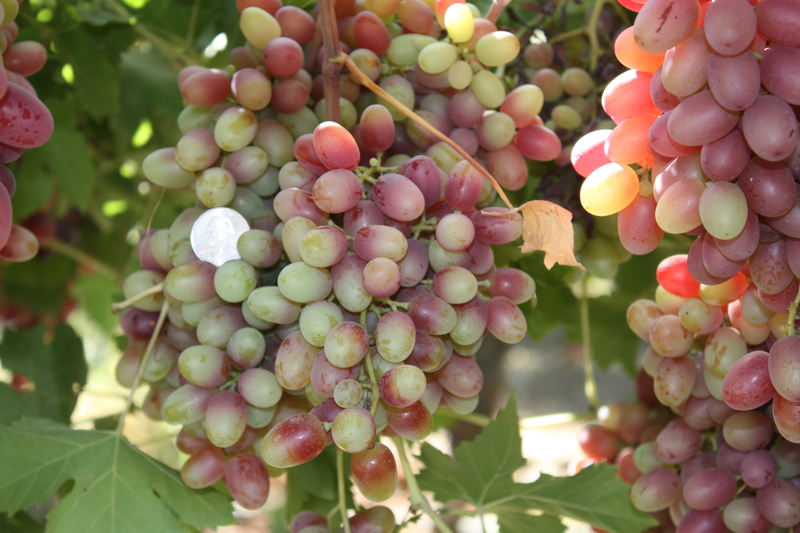 Zaninovich points out brown edges on the leaves, and the variable colors of the grapes. He takes a quarter from his pocket and holds it up next to a bunch of grapes on these vines. It’s a farmer’s trick to get a sense of their relative size. Zaninovich doesn't think much of the idea that mainstream consumers will want to buy grapes grown with less water, even if they don’t look as pretty. So if Zaninovich doesn’t see promising results from growing fruit with half the water, why is he still investing in the experiment? “There’s a term that’s used, drops per crop, and I think we just need to figure out how to maximize that efficiency,” he says. “It’s worth the exercise, it’s worth the experiment, it’s worth the loss, just to learn." The USDA researchers in Parlier are hoping to get funding to continue looking at the antioxidant content of fruit grown with less water. They're not only analyzing pomegranates and peaches, but opuntia cacti, and agretti (salsola soda), a gourmet vegetable from Italy that can be watered with salt water. Meanwhile, researchers in Mexico, Thailand, Taiwan and Spain have managed to grow spicier peppers by giving them less water. But when UC scientists working with jalapeño growers in Santa Clara and San Benito counties tried repeating the experiment, the results were only lukewarm.